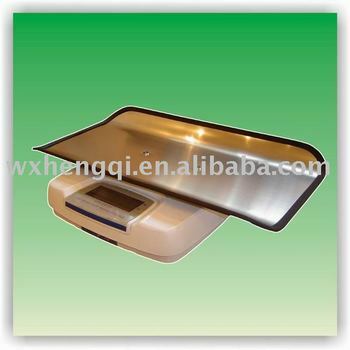 ACS-20S-YE electronic baby weighing scale is a high-precisionelectronic weighing scale specially designed for weighing babies andchildren. This scale featuring advanced in design and artistic inappearance. It is either a new-generation product of the moderm familyand medical department or an ideal gift to relatives and friends.